Old fuel is clogging up fuel systems and seals are deteriorating as power sports vehicles sit idle over the cold winter. Riders will want to fire up their machines and go enjoy the sunshine when spring arrives. They may be disappointed when they can’t get the engine to fire. 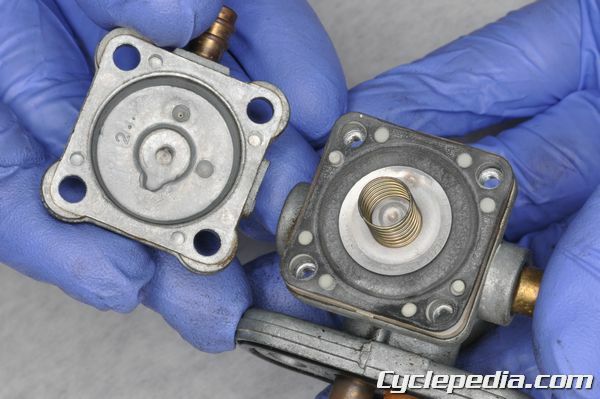 While the carburetor may require cleaning, the fuel delivery system may have its own set of problems. 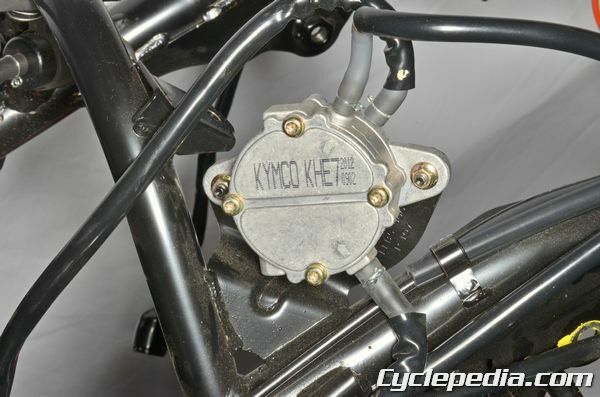 Power sports vehicles often use gravity feed and vacuum powered fuel pumps. 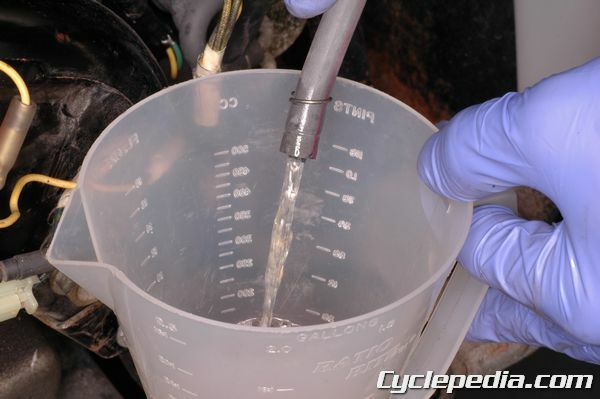 The basics of troubleshooting a fuel delivery system always start with the same two basic items. Is fuel in the tank, and is the fuel filter in good condition? Skipping basics is a good way to waste time. Visually check the fuel strainer and filter. If accumulation of sediment or clogging is found, replace or clean the strainer or filter as required. If an inline type fuel filter is used, make sure the filter is installed in the correct orientation. The arrow should point in the direction of fuel flow. Gravity feed fuel systems use a fuel tank placed above the carburetor to use gravity to deliver the fuel. The fuel tank must have an atmospheric vent to prevent a vacuum forming in the tank and stopping the fuel flow. Check vent and fuel hoses for damage, clogs and kinks. 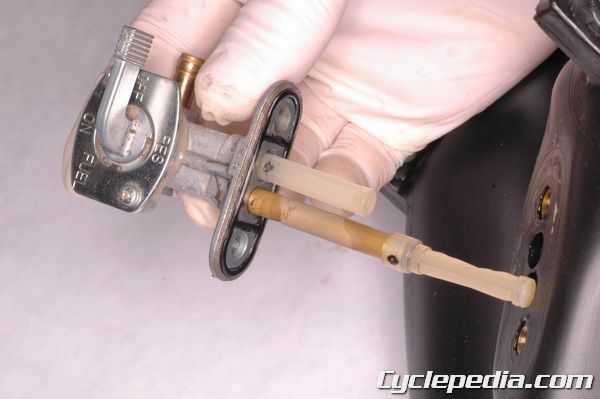 Most carburetor fuel delivery systems use a petcock, or fuel valve, to switch the fuel flow on or off to the carburetor. Inspect the function of the petcock. The petcock should stop the fuel flow in the OFF position, and provide fuel flow in the ON or PRI position. If the petcock doesn’t function correctly rebuild it with new seals or replace it. Some vehicles have vacuum operated petcocks. 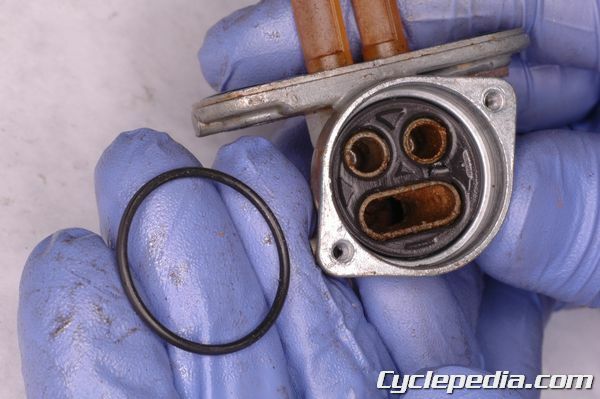 The fuel valve is held closed by a spring when no vacuum is present. The fuel valve is opened when the engine applies vacuum to the fuel valve diaphragm. 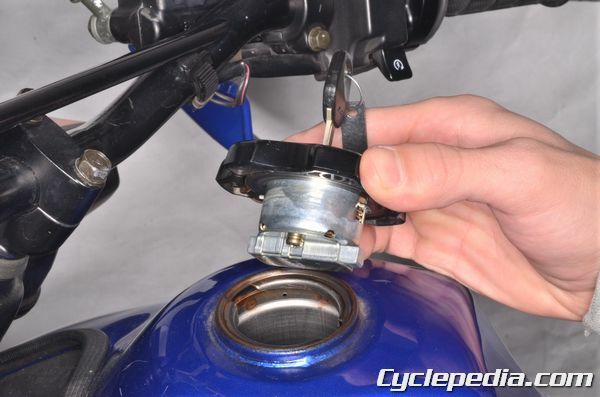 To test a vacuum operated fuel valve, disconnect the fuel line from the carburetor and place the end in a suitable container below the fuel tank. Activate the engine starter motor and turn the engine over. When the engine vacuum is applied to the valve, fuel should flow. Inspect the vacuum hose if the vacuum petcock fails to operate. If the vacuum hose is leak free and has good connections, the petcock is faulty. 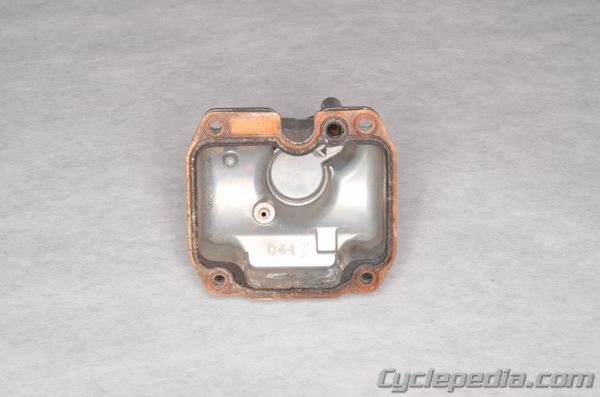 Replace or rebuild the valve as required. A fuel pump is needed when gravity fuel flow is not practical. Make the same basic checks when inspecting a vacuum fuel pump system as with a gravity system. Check fuel is reaching the fuel pump. Confirm the fuel and vacuum hoses are correctly connected to the pump. 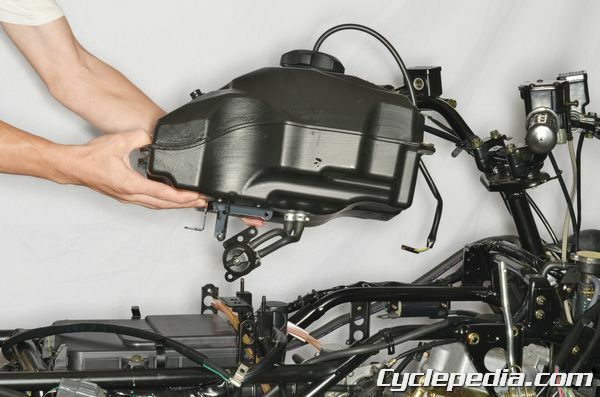 Test the vacuum fuel pump output by disconnecting the output hose from the carburetor and placing it in a suitable container to collect the fuel output. Activate the starter motor and turn the engine over. Confirm the vacuum pump operates and pumps fuel out of the output hose. Compare the fuel flow to the specification if one is given. Inspect the vacuum hose if the fuel pump fails to operate. 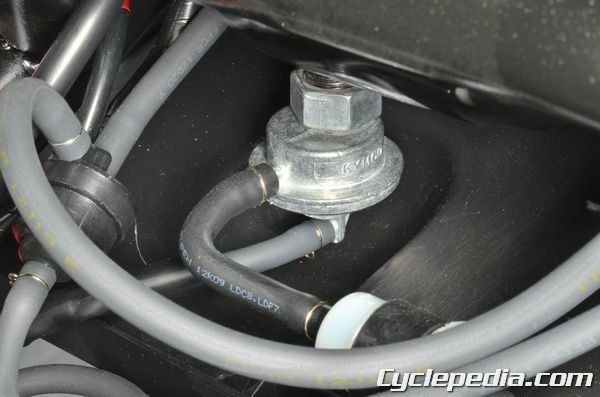 If the vacuum hose is leak free and has good connections, the fuel pump is faulty. Replace or rebuild the vacuum fuel pump as required. Be prepared to replace any seals that are disturbed in a fuel system. Even in a new vehicle a fuel system seal or gasket may fail if reused. Always remember gas is extremely flammable! Do not work around an open flame or a source of sparks.